Sizes available: D 1.000" - 6.000" (24mm - 150mm) in both standard and Ansi gland formats. 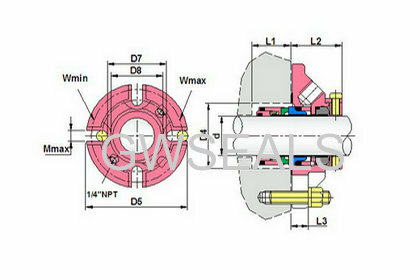 No need to change any equipment when cartridge mechanical seals instead of packing, no any influence if it is not concentric with seal chamber and shaft or pump shaft. Install simple and more convenient, more reliable. 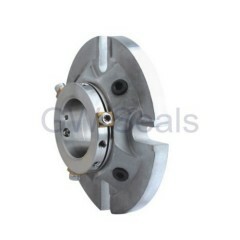 There is no axial motion in the design to sealing ring, the ones that avoided producing lost efficiency caused by sealing rings. The spring adopts the static type, there have no changed by centrifugal force that produced by shaft rotating about spring and compensate ring.